Went for a Shabbat Hike – Climbed Sinai!?!? 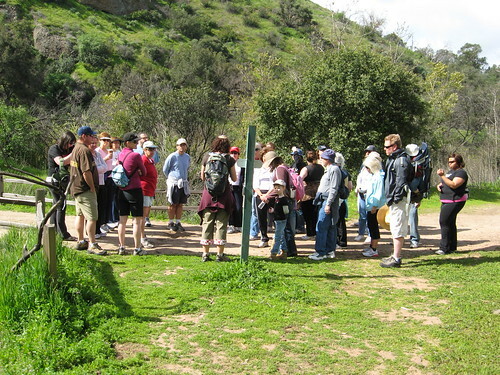 Shabbat morning started off as any Shabbat morning with a TBS Shabbat hike – in the parking lot of a local park in Orange County. 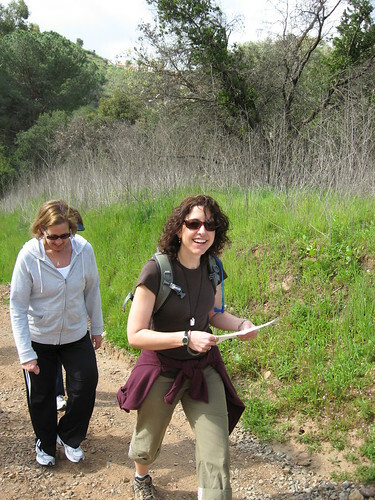 I was very excited because we were hiking in Santiago Oaks Regional Park. 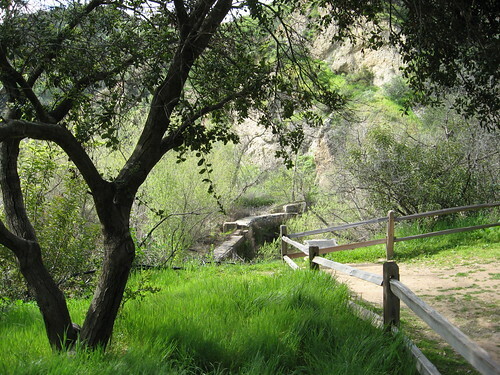 It was looking like we were going to explore another hidden gem that many of us never knew existed in Orange County. The hill is getting steeper. Some decide that this is a great time to show off their well trained legs as they decide it’s time to RUN ahead. Yes, run up the hill! Have fun girls! Everyone else, please feel free to go at your pace. It’s not a race…this is Shabbat. We get to the top of the hill and wait…there’s another hill! Really!?!? this was not in the description. Ah sugar (really, that’s what I say! ), I think I turned the wrong way! Keep smiling Heidi, keep up the face that I really know which way I’m going. Nuts, I don’t! Great! I am so in trouble when I get off this hill and they get their hands on me! I get a text message that everyone is down, the Ranger is leaving and I’m heading down the hill. At the bottom are – I kid you not – three deer! Haven’t I heard this story before? Maybe they are there to tell me that everything’s fine or they’re there to mock me some more. I meet up with the group in the parking lot and I start apologizing profusely. This is going to be a major al cheit at Yom Kippur. But everyone really does seem fine. They all said they had a great time and are glad that our one rescue is OK. Marla and Juliet offer to go on early morning walks with me to check out new trails so we really know which way to turn. And I’m on Marilyn’s list – but that’s OK, I’m practically family and everyone in the family is usually on the list at some point. Where is the Pace Car? Life moves at a very fast pace. There are meetings to be had. People to see in the hospital. Students to study with. And sermons or articles to write. There are those moments where there seems to be too much on the to-do list and I wonder how I will ever get it all done. This weekend was one of those weekends during which there was something going on almost every minute of all three days. I knew it would be a challenge to get it all done, but I knew I could if I just kept myself focused. The weekend has ended and it was awesome! Shabbat was beautiful. Purim was a kick – both for the adults and the children. And we even managed to have dinner with friends. Now here it is the middle of the week and I feel like I am stalled! Jennifer im’d me and asked how it was going and I said, I felt like I was in a holding pattern. That’s when she told me of days without a pace car. So true! Today, just feels like a day without a pace car. There is much to do, but honestly, I can’t get my head wrapped around it. Is this so bad? No not really. Just a little frustrating because when we are racing with the pace car, there is that momentum that we have to keep. But without it, it feels a little sluggish. Maybe instead of trying to find the pace car right now, I should try to enjoy the more mellow moments. After all, they are far and few between. Pace car, come back when you’re fueled up – for now, I’m going to enjoy the meadow.